Which Oil Companies are Set to Benefit from Price Differentials? Price differentials emerged last year as a major hurdle in oil and gas markets, but not every company is equally vulnerable to the swings and dips of different crude grades. In this interview with The Energy Report, Chad Ellison, oil and gas analyst at Dundee Capital Markets, explains how producers are protecting themselves against price downside—or increasing upside exposure. Find out which names are dancing with differentials. 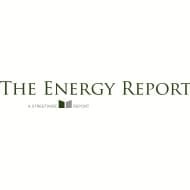 The Energy Report: Chad, your Q1/13 Earnings Preview forecasts higher natural gas prices, but says that the AECO Hub/NYMEX gas price differential, which is about $0.50 through all fluctuations, will remain unchanged for both the short and long terms. Why do you expect so? Chad Ellison: The U.S. remains the key export market for Canadian natural gas, and the U.S. has seen tremendous growth in its own domestic production; to keep imports from Canada competitive, we expect to see AECO continue to trade at a discount that is in line with historical norms. Longer term, once Canada is able to export its liquefied natural gas, that potential diversification of customer base could increase demand for Canadian natural gas. But there's still a lot of work to be done on that front. For now, we expect to see some seasonal volatility within the differentials between the $0.25–0.75 range, hence our ~$0.50 estimate. TER: You're also forecasting a reduction for West Texas Intermediate (WTI) and improvement in light and heavy Canadian oil differentials. What is behind these forecast revisions? CE: When we put out our revised commodity deck in the middle of April, WTI had come under pressure. There was disappointing economic news from China, uncertainty on economic recoveries in both the U.S. and Europe and growing domestic crude oil inventories, specifically at Cushing, where WTI is priced. As a result, we trimmed our WTI forecast, but we still remain constructive on the longer-term WTI price recovery due to a number of proposed pipeline projects that will help alleviate that storage glut. The WTI recovery has come much quicker than we anticipated, and it's currently trading about $7.50 higher per barrel (bbl) than our Q2/13 forecast. As far as Canadian differentials go, we expect them to narrow in the longer term back to the historical norm due to the vast number of proposed pipeline projects and expansions that I mentioned. But in the interim, the expanded use of rail to transport crude has allowed producers to bypass Cushing, go directly to refiners on the coast and get better realized prices, thus mitigating the effects of pipeline bottlenecks. TER: What will differentials changes mean for the companies you cover? CE: My coverage universe is largely light oil based. Although tightening differentials have been more noticeable on the heavy side, we did see a benefit across the board. I would say the biggest beneficiary would be Long Run Exploration Ltd. (LRE:TSX, BUY rated, $6.75 target price). It does have a small amount of heavy oil production, but is also a fairly balanced producer, which benefits from our increased natural-gas price forecast as well. TER: According to your analysis, the cash flow for some companies in your coverage universe could suffer badly from a $10 drawback in WTI. On the other hand, it would not benefit equally from a $10 increase, while others would benefit greatly from an increase but would remain stable in a drop. [See chart below.] Why is that? CE: Largely it has to do with hedging. Different producers who enter into hedges will use a combination of swaps, collars and put options to help insulate them from shifts in commodity prices. Companies that only locked in a floor price will have more to gain on the upside, but be protected on the downside. On the other hand, companies that lock in a fixed price will see a relatively balanced impact on cash flow either way when we stress test our commodity assumptions. TER: You commented that in the absence of strong capital markets, companies you cover are increasingly dependent on their own cash-generating capabilities. What are their basic options for generating cash? CE: The typical means include reinvested cash flow from a revenue-generating project, such as a producing well. Other options on the debt side include traditional reserve-based lending, and larger companies can layer in structured term debt or issue senior notes. Selling non-core assets has been another way to generate cash, but with so many companies pursuing asset sales on the market, we've seen the prices that these companies have been able to get come down. There is a short list of companies that have a market premium to exercise on these asset packages, and we are seeing them being selective in their acquisitions. Establishing joint ventures or having private equity backing are additional innovative ways companies are exploring to increase access to capital. We haven't seen much of that to date, but given the lack of availability of traditional equity funding, it is something a number of companies are looking into at this time. TER: DeeThree Exploration Ltd. (DTX:TSX; DTHRF:OTCQX, BUY rated, $11.75 target price) has trended mostly up since June 2012. What's behind that growth? CE: DeeThree was one of the best-performing stocks in the sector in 2012. That was largely based on the success of its Alberta Bakken play. The company has now drilled 20 consecutive successful wells since its initial discovery well. The Alberta Bakken where DeeThree operates is a much shallower area than where some of its competitors have been drilling up to the northwest, and the company can drill two-mile horizontal wells for a total cost of $4 million ($4M). That's less than half of what companies are paying to drill wells in other areas. These wells have also exhibited a very shallow decline profile with excellent economics. Type curve well analysis shows net present value over $7M and rates of returns in excess of 150%. That was what was responsible for the growth last year. This year, the company's Belly River play has taken the stock to the next level. A change in completion techniques has opened up a lot more potential. The Belly River play is very thick, between 250–500 meters, with at least six potential productive intervals within the play. DeeThree is only beginning to scratch the surface of the Belly River and has engaged a reserve evaluator to conduct a resource study to help evaluate the play's full potential. I believe the study will show much larger resource upside than is currently being priced in. My $11.75 target price assumes only about 100 locations. The company has identified over 330 and believes it could ultimately have over 500, which could add another potential unrisked $4–5 per share. TER: DeeThree's price currently is around $8/share and you bumped its target up from $9.75 to $11.75 even though it's never reached $9.75. Was this change prompted by something in the operations or in its prospects? CE: I would say both. Our target price is based on a 12-month expectation. When I initiated coverage on the company, I was cautious on the Belly River play given the relative lack of drilling history, but during the company's first quarter drilling program it drilled five successful wells, including two of the best to date. Given the success, I was comfortable giving the play some credit. I'm still only assuming 100 unbooked locations in my valuation and a type curve that at least these latest results seem poised to beat. TER: In the wake of the management shakeup and noncore asset sale, your latest report on Surge Energy Inc. (SGY:TSX, BUY rated, $6.75 target price) notes its transition to a lower-growth company as it reaches a certain level of corporate maturity. How will these changes affect the company's operating strategy and its stock? CE: Paul Colborne, who is coming in as President/CEO, has an excellent track record of running successful companies: He is the former President/CEO of Starpoint Energy Trust (private), Crescent Point Energy Corp. (CPG:TSX, BUY rated, $49.25 target price) and StarTech Energy Inc. (private). The management team is out on the road now marketing to over 100 investors over the next two weeks to lay out the plan and the shift in strategy. The new plan will likely involve a slowdown in capex to ensure the company has a more stable, low-decline production base. Once management and the board have confidence in the low-risk, low-decline production base, we would expect to see a dividend put on with a strong emphasis on sustainability. This should open up the stock to a new yield-focused investor base. TER: A stumble by Surge in H2/12 undermined its credibility and share value, but the stock began what looks like an upward trend in early May even before the shakeup. What's driving that? CE: The stock began trading at a steep discount to any valuation metric after its H2/12 miss, and was oversold, in my opinion. The company had an excellent Q1/13 drilling program, hitting or beating its type curve estimates and expanding its inventory in its three key oil plays at Valhalla, Nipisi and in southeast Alberta. It was in need of a catalyst and it managed to get three with the management shakeup, the sale of its North Dakota assets to clean up the balance sheet and a successful Q1/13. I think this was just investors looking to get ahead of the potential catalyst and it ended up being better than anyone had anticipated. TER: Manitok Energy Inc.'s (MEI:TSX.V, BUY rated $5.25 target price) marketing boasts that it is a "once-in-a-generation," "contrarian" opportunity. Does the performance justify the language? CE: I believe it does. The operations team is composed of former Talisman Energy Inc. (TLM:TSX, not rated) technical players that have firsthand knowledge of the complex drilling involved in the foothills area, in the disturbed belt of Western Alberta. Manitok has been able to use this technical expertise to assemble a land base of over 280 thousand (280K) acres relatively cheaply, as few others have the knowledge or capability to drill in the area. Results to date at Stolberg in the foothills have been some of the best drilled in the basin in decades, coming on at over 800 barrels per day (800 bbl/d) and exhibiting a shallow decline profile as the wells are not fracked. The shallow decline allows the company to generate free cash flow, which it can reinvest into drilling and exploration. TER: Manitok's target price is at $5.25, but it's only $2.60 now and it's never broken $3.50. What will it take to bring it up to $5.25? CE: I think the stock has stalled at this level due to market perception of a lack of inventory, but the company has a large land base that spans the foothills. Although it's had tremendous success at Stolberg to date, there hasn't been a lot of activity outside of that. However, there is an upcoming catalyst—Manitok has recently commenced drilling a new area at Cabin Creek. It's an area that the technical team has worked on in prior careers. They like what they saw there and managed to farm in and increase the land base. Success at this well should get some of those skeptics back into the stock, in my opinion, once they're able to evidence repeatability. We fully expect to see exploration results that vary. Given the nature of the drilling, I don't expect the company to drill at a 100% success rate, but if the company can find another Stolberg-type oil pool every one to two years, it will build the inventory enough to keep this thing as one of the fastest-growing stocks in our coverage universe. TER: What prompted you to bring Long Run Exploration's target from $6.50 to $6.75? Did its Q1/13 production meet your forecast of 23,800 bbl? CE: Production was pretty much in line with our estimates, as was cash flow. The quarter was exactly in line with oil and liquids production, and that's what generates most of the economics. This is the first full quarter the company had since its merger and disposition. I think hitting its guidance will help build credibility. The target bump had more to do with the revised commodity price deck, which I discussed earlier. TER: Any closing thoughts that you'd like to share? CE: There's a deep discount in the Canadian junior oil and gas space right now. The crude oil differential problem that we saw last year hit stocks hard, and a lot of U.S. investors exited the space. Through rail, producers have managed to mitigate the differential financial impact and there is a plethora of planned pipeline projects, but we haven't seen a big return in equity prices, so there's still deep value in a lot of the Canadian E&Ps. Now is a good time to consider getting back into some of these names. TER: I appreciate your time this morning. Thank you for your thoughts. Chad Ellison joined Dundee as an energy analyst in November 2012. Prior to Dundee, he was with Canaccord Genuity's research team with a focus on Canadian domestic junior and intermediate companies. Ellison gained experience providing financing for E&P and oilfield service companies from 2005 to 2010 with GE's financial services arm. He holds a Bachelor of Commerce degree in finance from the Haskayne School of Business at the University of Calgary.